The scrolling traditional design of the “Nola” dining room collection merges the beauty of wood and metal to create an elegant vision that truly transforms the atmosphere of any dining experience. The ornate beauty of the tubular metal table base, which features a rich dark metal bronze color finish, supports a luxurious table top bathed in a burnished brown finish. With the beauty of the elegantly inlaid veneer table top pattern and the subtle multi-toned chenille chair seat upholstery, this dining room furniture is an exceptional addition to the decor of any dining room. 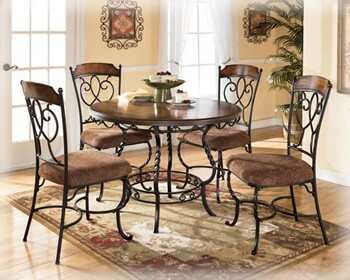 Create a dining room to be proud of with the warm inviting traditional design of the “Nola” dining room collection. Lease this beautiful Dinette for only $13.99+Tax Weekly or $56.00+Tax Monthly. Purchase Price is Only $549.99+Tax or Take advantage of our 90 Day Same As Cash Program! Get Half Off your First Months Lease!Free Same Day Delivery – Why wait to get the thing you want and need for your home? The straight-lined contemporary design of the “Lewis” accent table collection features a rich finish and stylish detailing to create an exciting collection that is sure to enhance the look of any living room decor. The medium brown finish flows smoothly over the straight legs and etched table top details to bring out the unique beauty of this contemporary collection. With ample table top space and plank style lower shelves, these tables are an exceptional addition to any home environment. 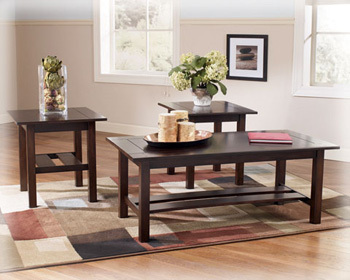 Enhance your home’s style with the rich contemporary flavor of the “Lewis” accent table collection. Lease this item or add on to 3pc Occasional Tables for $6.99+Tax Weekly or $28.00+Tax Monthly. Purchase Price $279.99+Tax or get it today and use our 90 Day Same AS Cash Plan! Get Half OFF your First Initial Lease Payment or Add on to Living Room Furniture. The rich finish and casual contemporary design of the “X-cess” TV stand come together to create an exceptional addition to the beauty and function of any living room environment. A deep merlot finish flows beautifully over the replicated oak grain complemented by the satin nickel color hardware bringing out a subtle sophistication that is sure to enhance the beauty of your home’s decor. 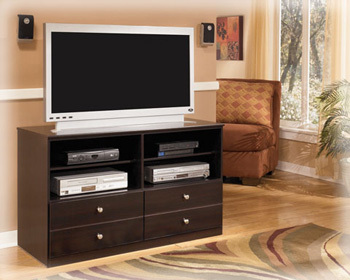 With ample storage space along with this casual design, this TV stand adds both beauty and function to any room. Accent your living room with the casual sophistication of the “X-cess” TV stand. Lease this item OR add with a TV/Home Theater System for $5.99+tax Weekly or $24.00+tax Monthly. Cash Price $239.99+tax – Buy or Lease through our 90 Days Same As Cash Plan. Many, many brands available. 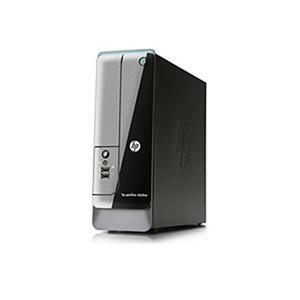 Windows 7, CD/DVDRW, Web Cam, WiFi, USB. Also, our on site service tech is available Monday-Friday to answer questions or service any problem that you may have. 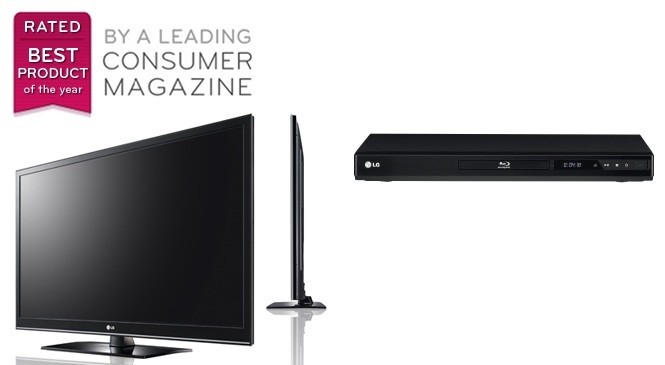 This Home Entertainment Package includes an LG 42″ WiFi with 3D and 240 Mhz. Plus, you get a LG Blu-Ray 3D DVD Player. The lease rate for this Package is $33.99+Tax Weekly or $136.00+Tax Monthly. We offer 90 Days Same As Cash or you can Lease this Package for up to 24 months. Current Promotion is 1/2 Off your Initial Payment! 1. Free Delivery Saves you money. When other furniture stores charge for delivery up to $75 depending on where it may be delivered from and to. 2. If you finance the cost of your delivery charge, you will pay interest on it. 3. Long Term or Short Term, Premier never has a delivery charge within Montgomery, Greene, Miami, Clark, Darke, Warren, Butler, or Preble counties. 4. Same Day Delivery – In most cases, with 1 call to Premier we can deliver an item to your home today. 5. Premier Rental Purchase has the lowest rates on many of things you need for your home.